Passed quietly in his home, lovingly surrounded by his family. Cherished husband and best friend of Gladys (Wright). Predeceased by parents Earl Warner and Kathleen (Kay) Post. Loving brother of Cindy (John Hendren), Nancy (Allan Whan) and Susan (Brian Hayton). Predeceased and an amazing brother-in-law to Linda (Ray), Bob and Doug (Joanne). Uncle Shane will be devastatingly missed by niece Vanessa and fondly and lovingly remembered by the rest of his nieces and nephews; Jessica, Stephanie, Jamie, Adam, Delin and Tricia, Charlynn, Bonnie and Mary, Joel and Luke. 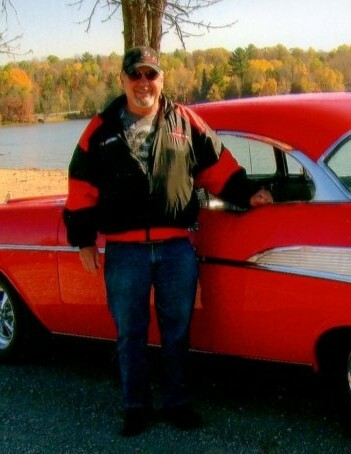 Shane lived life to the fullest with his passion for horses and vintage cars. Although he appreciated any quality antique vehicle, he was well known for his love of '57 Chevys and his cars turned heads wherever he'd go. His stories, lengthy telephone calls, contagious laughter and genuine fondness for his family and friends will be forever remembered and will continue to bring a smile to those close to him. Friends and family are invited to join us for a celebration of Shane's life on Monday, June 26th from 2:00 P.M. to 5:00 P.M. at Janetville Community Centre, 693 Janetville Road, Janetville. Special thanks to Lindsay CCAC for their kindness and thoughtful care. Online condolences may be made at www.lakelandfuneralcentre.com.